Are you new to massage? Or maybe just curious what goes on during a massage session at my office? 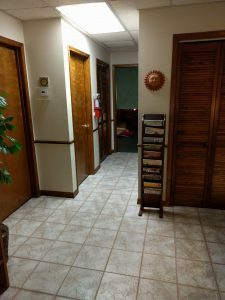 Well, you’ve come to the right place, because I’m going to outline what to expect, including specifics for both a traditional therapeutic massage on the table, and a Thai yoga massage. I’ll greet you as you come in the front door into the shared waiting room, and we’ll head back to my office. I’ll show you to a comfortable chair and give you an intake form to fill out. This will ask about your health, any pertinent medical issues, and how you feel today. I’ll review your intake form, and then we’ll discuss any issues or concerns. I might ask you to demonstrate where exactly the pain is located, or what movement causes the pain, or similar diagnostic questions. Next, I’ll explain that I’ll be leaving the room in a moment, and while I’m gone, to please undress to your level of comfort. It’s okay to be completely undressed (as you will always be covered with mandatory draping), but often people leave on their underwear/socks/pants/etc. When the massage is over, I’ll let you know, as I’m leaving the room, that you can take your time getting up. When you’re dressed and ready, you’ll pen the door and let me come back in the room. You’re welcome to visit the restroom as well. I’ll let you know when the massage is finished, and as I leave the room, I’ll tell you to take your time getting up and then open the door and let me back in when you’re ready. Feel free to hit the restroom.